Harry Sanna is a documentary and commercials director and a cross-media journalist. He recently directed a documentary style campaign for the South Australian Tourism Commission. It included multiple spots and an unprecedented five-day live-streaming shoot. He has also worked with brands such as Nikon, CBS, PBS, the Huffington Post, ANZ, and many more. Harry is a true filmmaker with a visionary eye and is a great collaborator. He can tell a story in any environment and still bring out a strongly cinematic, beautiful look. 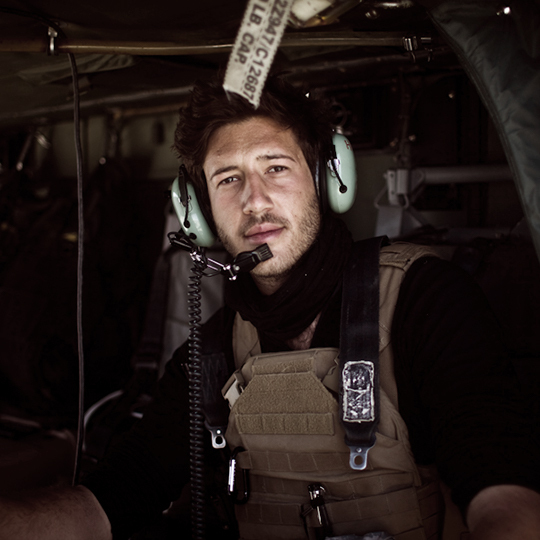 After studying journalism at the University of Technology, Sydney, Harry was based in New Delhi from 2008 to 2010 before documenting the Afghanistan war as an embedded journalist within an airborne medevac unit. His imagery from that period, along with footage following the lives of his friends, most of whom are now retired veterans with new lives, forms the widely-acclaimed documentary TRAUMA.